The SSU-PAM-2 Relay provides 7.0 Amp Form C contacts. The relay may be energized by one of two (2) input voltages: 12VDC or 24VDC. The input voltages are polarity sensitive and diode protected. 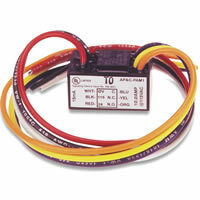 A red LED is provided which, when illuminated, indicates the relay coil is energized. The PAM Series Relays are encapsulated multi-voltage devices with "flying" leads that offer versatile, reliable performance in a convenient package. The PAM Series Relays are packaged with a self-tapping screw and a piece of double sided tape for easy installation almost anywhere. The relays are also packaged with wire-nuts to aid installation. 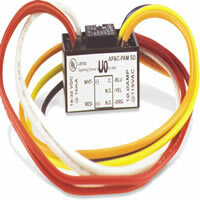 The SSU-PAM-2 Relay provides 7.0 Amp Form C contacts. The relay may be energized by one of two (2) input voltages: 12VDC or 24VDC. 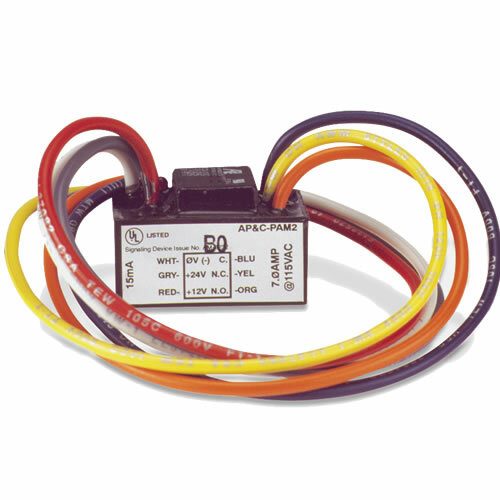 Q: What is the rated number of Electrical Cycles this relay can handle at its full 7amp rating using 24VDC? 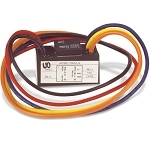 A: Since it is UL Listed the relays are required to go at least 10,000 cycles at full rated load.